The brainchild of VibaZone™ with a vision to create value propositions for entrepreneurs and introduce the next-gen start-ups to major players and stakeholders in the forefront of commercialisation. It is a catalyst that brings together key stakeholders of the start-up ecosystem; from associations, investors, entrepreneurs to incubators and accelerators, enabling innovations and ideas to be shared, discussed and materialised at international networking events. 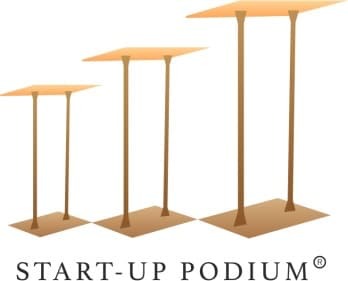 START-UP PODIUM® will curate a special line-up including a series of fireside chats and panel discussions with high-level speakers at the Start-Up Park Stage, chaired and moderated by Muthu Singaram, the Chief Vibazoner from Virtual International Business Accelerator (VibaZone™). Muthu is a world-renowned innovation consultant and speaker, with over 20 years of experience in start-ups and commercialisation.